Camp Areas with Personalities - New for 2018! Our camping areas have been given different names and personalities for 2018. The area that was designated as a “Quiet Camp” last year won’t be quiet anymore. This year that area is named “Hootenanny Hollow”. As the name suggests, late night jam sessions are now welcomed. The same is true for the loop camp area in the southwest corner of the property. That didn’t have a name before, but this year will become “Night Owl Lane”, another place where late night hooting and hollering is not only permitted, it’s encouraged. If you are looking for a little tamer environment more conducive to sleep, you’ll want to set up camp in “Sleepy Hollow” which is at the north end of the grounds, running up to Naylor Road. The “Big Rig” campground is the same as in previous years. There are a couple reasons for these changes. One is that we needed to identify group camping sites in order to get our camping permit from the health department. This will help emergency services locate someone if there’s a medical emergency. The other reason is that people have been asking “Where are the late night jams going on?”. Now they’ll know where to go: Hootenanny Hollow or Night Owl Lane. These are the areas farthest away from our neighbors. Sleepy Hollow and The Big Rig Camp adjoin private property and we don’t want to annoy these people with our carrying on all night. We hope you find a spot where you fit in best. Some of us who want to play music late into the night will camp in Sleepy Hollow and walk over to Night Owl Lane or Hootenanny Hollow to join our friends. When we get tired we can walk back and get some sleep. 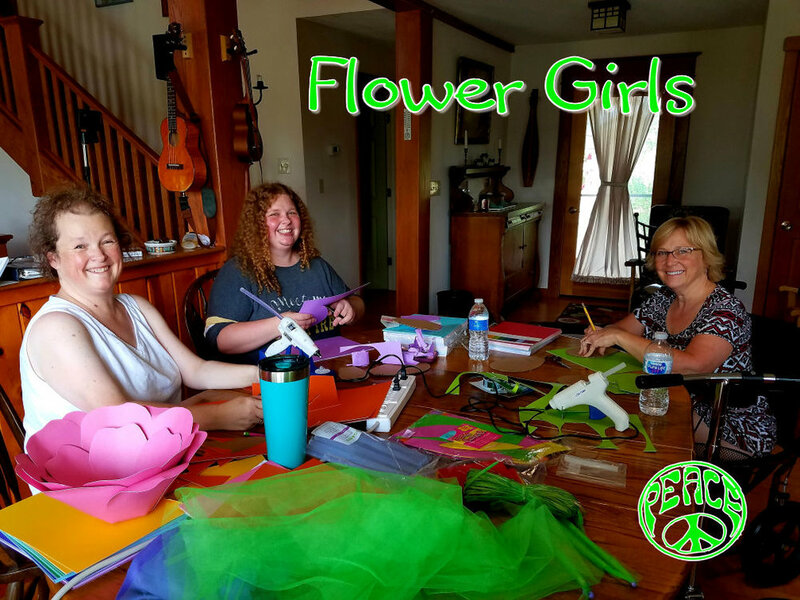 Peg Schmidt (left), Andrea Schmidt (center) and Bonnie Bartz (right) are pictured here making paper flowers to help decorate the festival grounds. There are lots of opportunities like this to get involved creatively in preparing for the festival. You might have some ideas of your own. If you’d like to help, send us an email at mail@thunderbayfolksociety.com. We’ll get right back to you. Also check out all the volunteer opportunities on our website. Volunteer for a 4 hour shift and get your weekend admission pass for free. Consider becoming a part of our fun family! Did someone say Free Ticket? It's super easy to get FREE Admission for a weekend of great music, fun, food, activities, workshops and more! 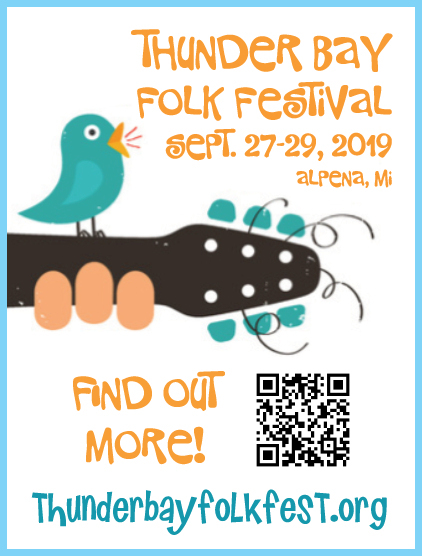 Thunder Bay Folk Festival - Sept 28 & 29, 2018. Visit Signup.com to register today!